Everyone has a different morning routine. Some of us roll out of bed and do the bare minimum when it comes to hair and makeup (totally fine!) and others do the absolute most. It’s safe to say that Toronto native Kevin Kodra falls into the latter category. For his senior photo, he chose to go all out and create a moment he will never forget (we certainly won’t either). Kodra just became our new definition of what it means to slay your makeup. In honor of his 18th birthday, the teen posted a pic of his senior photo. And, well, we were left speechless. This wasn’t just any pic. It was clear he wanted to graduate with a bang. And his reason? It was something we can all relate to. Kodra told Cosmopolitan.com he wasn’t happy with his previous pics: “All of my yearbook pictures were really bad, like really bad.” While he couldn’t erase the memory or evidence of the less-than-flattering photos, the makeup wiz decided to create the most epic yearbook photo, one that made his past shots irrelevant. "So I said, let me just go all out. Let me do what I love doing the most: glam bronzy looks," Kodra continued. And this glam bronzy look took…three hours to create. Totally worth the 4 a.m. wake-up. Kodra did everything himself, from contouring to highlighting to a bold brow and lashes anyone would envy. He captioned the pic, “I couldn’t even get my A’s straight.” Well, he certainly got that liner straight. And we give him an A for precision and overall slayage. 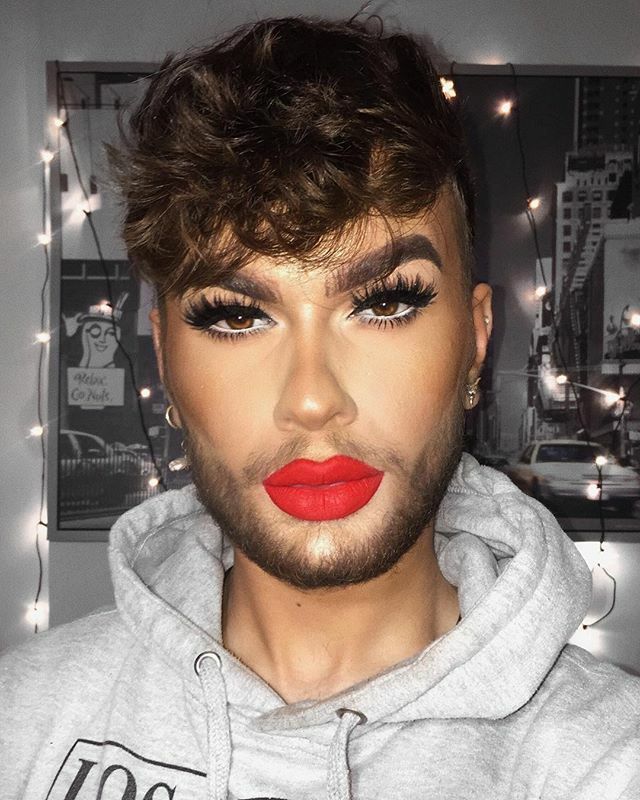 If you need more makeup inspo for your daily life, just peep his Instagram. "I want my positive experience with my identity to become normal and break the stigma against not only men in makeup but also one's sexuality and identity." His look and message: goals!